GAIMSIT services provide the experience, manpower, and technical delivery to make your project a success. 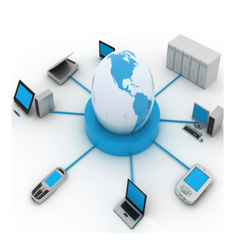 We are offering a best quality of Network Security Devices to our clients. These devices are used for securing the networking devices. Our products are taking care of business values clients from long time. We serve our products as per clients needs. We are a reckoned name of the business eminent as one of the foremost provider of Computer Security. With the support of our trained and familiar crew of personnel, we offer these services as per the demands and needs of our patrons. Furthermore, these services are rendered by well-trained experts who are highly knowledgeable in this domain. Power-packed gateway security solution that guards your company network against emerging threats. Robust and fully integrated multi-layered network security that boosts your enterprise network's productivity and efficiency. Whether you are a small business or the largest commercial enterprise, Eagle Eye Technologies is the right security solution for you. Sensitive, propriety, and/or classified data loss occurs when a lost, stolen, or damaged handheld devices(PDA) is not regularly synchronized with an organizational computer or network. Data synching over a network, without encrypted sessions, could lead to sniffing and spoofing attacks. We are involved in offering a wide range of CCTV Accessories to our most valued clients. Our range of CCTV Accessories is widely appreciated by our clients which are situated all round the nation. - Secure Overlay Cloud Storage with Access Control and Assured Deletion. - Detecting Anomalous Insiders in Collaborative Information Systems. - Online Modeling of Proactive Moderation System for Auction Fraud Detection . Ensure maximum workforce security and productivity by monitoring and enforcing Internet use and surfing including IM, P2P, and social networking sites. The Web Threat Pak also stops malware and exploits that infect your web server or applications such as the browser, plug-ins and media players. - ZoneTrust: Fast Zone-Based Node Compromise Detection and Revocation in Wireless Sensor Networks Using Sequential Hypothesis Testing. - Design and Implementation of TARF: A Trust-Aware Routing Framework for WSNs. Your dear computer is always under the shadow of threats from malicious programs which intend to execute all sorts of mischief on our computers.